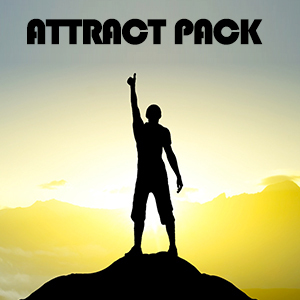 Details: The Attract Pack includes all the doses you need to help you attract the very best in life. With our powerful Love, Money, Power and Success doses you will have the full regime you need to properly align yourself to not only attract success, but to maintain and accept it as well. Best used together in a SlipStream, get the entire pack for the absolute best results and use the Success dose to maintain and the others to target specific wants. One of the most asked for collections in IDoser History.